In January 2017, the Bucks Free Press reported an outbreak of Equine Herpes Virus (EHV) in Chalfont St Giles, near High Wycombe. This followed a similar outbreak in November 2016, at a yard in south Bedfordshire, where four horses had to be put down following diagnosis. It has grown to be such a concern that Chiltern Equine Clinic, which has branches in the affected areas, has started hosting client lecture evenings, to deliver important information and field questions from worried horse owners. So what is EHV and how can we protect our horses? Equine Herpes Virus has been in the news more and more over the last few years. The two most common forms are EHV1 and EHV4. 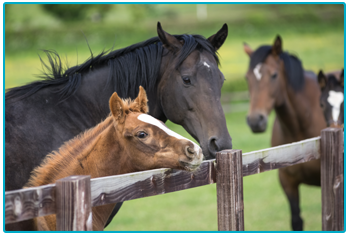 EHV1 is more serious and is typically associated with respiratory symptoms, stillbirth, abortion, illness in new born foals and neurological symptoms. EHV4 is less aggressive and usually only results in mild respiratory symptoms, but in some cases can affect the pregnancy of a horse. 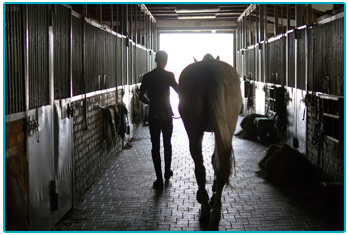 EHV can remain latent until reactivated at a later date, often in periods of stress for the horse such as transportation, and this makes tracking contagion more complicated. Once reactivated, EHV can spread in a number of different ways. 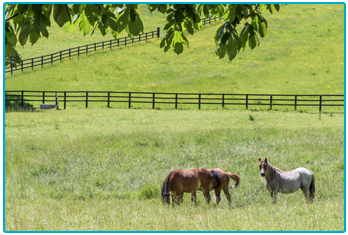 It can be transmitted directly between horses, in the paddock or the yard, by way of ocular or nasal discharge. EHV can also be transmitted by aerial spread or contact with any of the materials associated with equine abortion, such as the foetuses or placenta. People can also aid the spread of EHV, either transmitting it themselves or via equipment, tack or feed. EHV is fast-moving and can result in abortion or death of new-born foals. In instances of extreme neurological problems it can even necessitate euthanasia, so be aware of the issue and safeguard against it. If an outbreak is reported in your area, make sure to isolate your horses and if your horse begins to develop any of the symptoms then you should report the issue to your vet immediately. Although EHV isn’t often fatal, it can result in a lot of pain and upset and you can limit this through responsible behaviour.